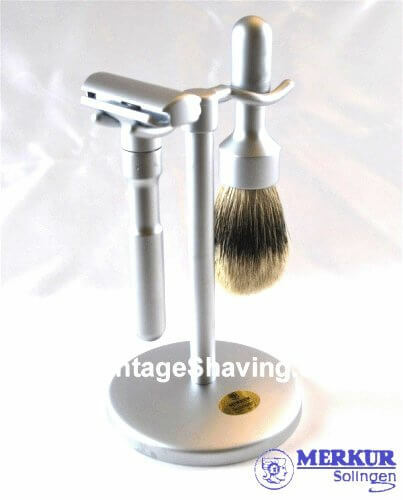 Its full volume of extra soft bristles produces a rich lather and luxurious shave. The Futur Razor is Merkurs most popular premium .double edge safety razor This safety razor adjust to 6 different positions that opens or closes the blade gap to alter shaving from very close to very comfortable. The head snaps off for easy cleaning and blade changing. 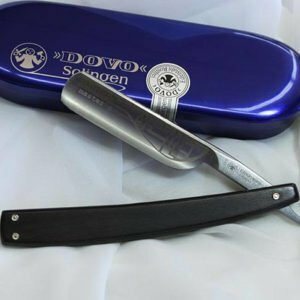 Uses standard double edge safety razor, one included to get you started. The Futur Silvertip Shaving Brush is filled with genuine silvertip badger hair. It is the finest and softest of all the grades of badger hair. Its full volume of extra soft bristles produces a rich lather and luxurious shave. 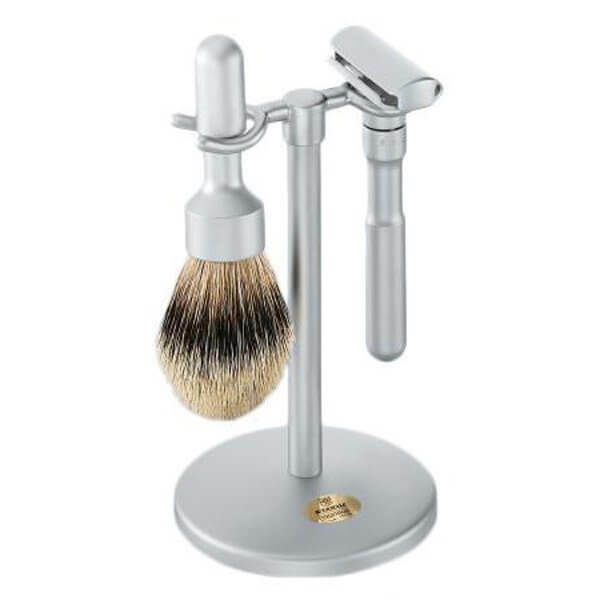 A Shaving set you can be proud to own for a lifetime.